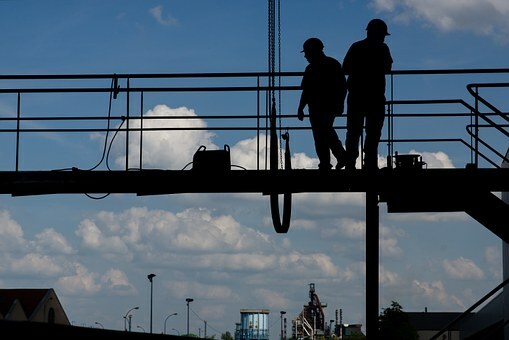 Working at height is one of the major causes of accidents and injuries that happen at workplace. Some of the common cases that have been witnessed majorly related to working at heights include falling from heights and breakable surfaces. In order to prevent from such accidents that may happen from working at heights, we have provided a brief guidance for people. Let’s have a look at it. What you should be doing? When you are hiring people, make sure that you are getting those people on the job that are competent and have the skills and experience to conduct the job. And as far as the organization is considered, one must make sure that the job is carefully and thoroughly planned and supervised by the right people that have the expertise of such jobs. Organizations should not only invest in the right kind of people for the jobs but also right equipment as well. An organization that has the tasks where height and safety practices are mandatory to be taken, one should also ensure that control measure are taken on a regular basis in order to avoid any injuries or accidents. The first thing to do is to analyze the risks that may occur. Factors that are related to the risks associated with height include the frequency, height, condition and duration of the surface where the job is being conducted. Avoid working at surfaces where it is actually practical to not do the job at. Where there are chances of a fall from working at heights ticket or any other risks of accidents, make sure safety measures are taken and right kind of equipment is being used to avoid such chances. Situations where risks cannot be ended, using the right tools can help them at least minimize and reduce if not completely eliminate. Since employees at the organization work together, they should also take steps and measures that not only protect an individual but protects all the employees who are conducting such a risky job. In short, one should avoid focusing on personal protection and should look for means that are better as collective protection. Create protocol and prepare a checklist that will guarantee that measures are rightly being taken. If accidents have happened at a particular place earlier, one should reevaluate risks and chances of that are before sending anyone to conduct the job again. This will ensure that work related accidents that occur from falling from height may be reduced. Hope the above tips have helped you in saving the life of your employees. Next Next post: What You Need To Know In Becoming A Truck Driver?